Based on how both these demo’s are structured and the characters behave/respond. I’m quite sure that both these trailers come from the same build. What I think has happened is this… The press have been invited to a press event. They’ve been given the E3 demo/shown it, as well as the E3 assets and then an embargo. 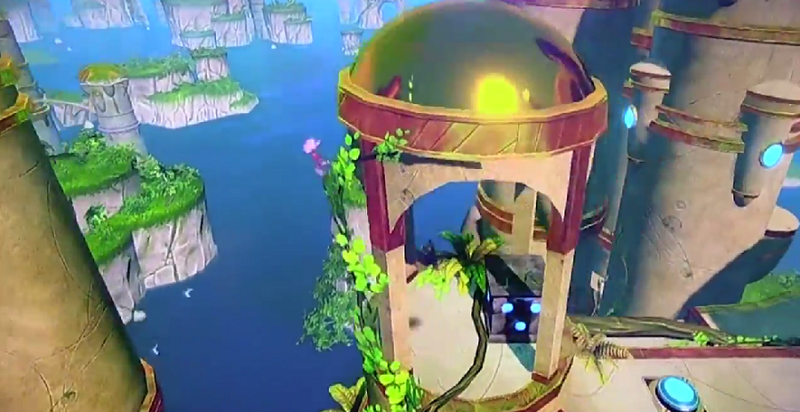 However, at some point, they’ve been given B-Roll footage from Sega (remember this still isn’t available on their own press site and has never been on there), it’s from the E3 demo… but… for reasons we don’t understand, the textures, shaders, lighting, particle effects have been either disabled completely, or set to such a low level that it looks completely terrible. Have you all seen what’s going on with watch_dogs right now? Specifically that segment of code which shows the E3 effects set to 0? When changed it looks amazing and runs better? Having played games in alpha and beta which have these settings set to 0/disabled or very low. There is NO CHANCE you could make this mistake. It just doesn’t happen, there is no way this would happen. You would instantly know when these effects were disabled or not. It just doesn’t happen, there is no way you would make this mistake. So why did it happen? There’s nothing at all to suggest it’s a different build, also it would be very risky to let the public have a new build than what was demoed since that version would have been the most stable code they were confident with. I’ve played different builds in the space of a few months before. Back in 2012, with All Stars Racing Transformed, I played it in April, June and July, and each demo featured new content or ran differently. The demo I played in April ran horribly and was loaded with graphical glitches, but was much more polished by E3. By Comic Con it ran even better and had an additional course and character. I think maybe this was based off of a really old build, one probably not designed for press. Maybe the E3 build just wasn’t ready in time? It would explain why the build the press played before E3 was apparently so much more awful then what we played at E3. Maybe they were having problems getting the frame rate up to a playable level with lighting on before E3? It did chug a bit at times and was fairly noticeable during the speed section which lead to Sonic and crew kinda moving awkwardly a tiny bit. It is entirely possible to have the version from the B-Roll footage to be of an older build, but then it begs the question of why. I suppose at that point it might have been only test footage that they hadn’t even entirely finished but it was the only thing they had on hand. Maybe they wanted to surprise everyone at E3 with a prettier build? But why bother with the B-Roll footage in the first place if it just makes the game look muggy? God it’s hard to predict what a game company means to do nowadays. No one checks GAF HMM?! Well….sure but….my example shows a more drastic difference! So Nyah! That’s cool how Sonic Boom on Wii U has the blue screen in the Wii U GamePad to turn on blue screen of TV by tilting Wii U GamePad. …. Ergh… I am going to be quite honest, this new bit of E3 footage brings me things I do not like, despite being generally excited for the game. 3. This is a bit of a dead horse here, but I am starting to really see people’s points of the slow and tedious gameplay style. Don’t get me wrong, many aspects do look good and promising, but I’m getting serious flashbacks to Werehog beat-em-up monotony. The speed is also randomly fast for the transition stages, but… slow again when they go back to fighting? Why? I don’t think it helps the pace too much, rather, breaking it instead. I like the idea of taking Sonic in a new direction, but removing his trademark speed ability isn’t the way to go, even if it is in a style such as this. But other than that, this all looks interestingly dandy. I like the exploration factor Boom seems to have. Can’t wait. 1. You’re totally right, and I’m loving it. Don’t worry, it’s clear as day he’s going to gradually become better as the game progresses, learn how to be a proper “leader” and all that jazz. One of my favourite parts about Sonic’s personality however, moreso in the comics than the games, is that douchey “I’m-better-than-the-rest-of-you” attitude he can have. It just sets him off as the hero character that’s really flawed, too full of himself and his great actions, and although he means well half of it is image. That is, until it gets serious and ain’t all fun and games anymore, and he actually gets into mess because of his rash thinking and dynamic choices based on a dynamic character. Of course that doesn’t mean you should like it, I just felt like sharing my mind on the matter. 2.I think it’s a mix of the audio, atmospheric beta-music and the awkward silences. The animation sure is top-notch, but a lot of it seems unfinished and out of sync. Regarding him being traded off as a silly villain, yeah I agree for sure, and it’s a shame. I do enjoy the humorous banters between Sonic and Eggman, always have, but it just seems a bit too much this time around, yeah? As if Eggman isn’t trying to accomplish anything but he’s rather being an annoying sod rather than a conquerer. 3. I can see where you’re coming from, personally I’m glad that enemies matter more than what they have in the past, but I’m no fan of the (as also seen in the werehog stages) constant flow of enemies that’s so popular in beat-em up style of games. Some 3 robots and 4 snakes take a little too long to beat, considered the flow of the fighting. Would’ve been interesting to see Sonic beating them up fast with little damage (what it seems like they’ve made slow with little damage here) and Knuckles doing it slow with tons of damage. Suppose we’ll have to see how they make the combat a little more interesting, personally I still have a feeling that the ring-meter in the top left is going to have an interesting factor in play, as we always see the blue bar charge up in this footage but never what it does. Unless I missed it ofc. Also super-excited to see what the final product will offer, fingers crossed it’ll be widely accepted by the audience they’re aiming for. Would be nice with some new blood. You make super valid points, sir. I can’t agree with you more than I am right now with #2. That’s not to say I think Lyric is bad, by the way, I just hope that Eggman is relevant. From this E3 demo, it seemed like he was only there to get in Sonic’s way for no discernible reason other than hatred. His animations, though, are the greatest things ever, I must say. 3. By the ring-meter, do you mean the health bar? Jack n’ Daxter for the PS2 looked better than that second, “improved” screenshot. They just turned off the fog and added environmental lighting. 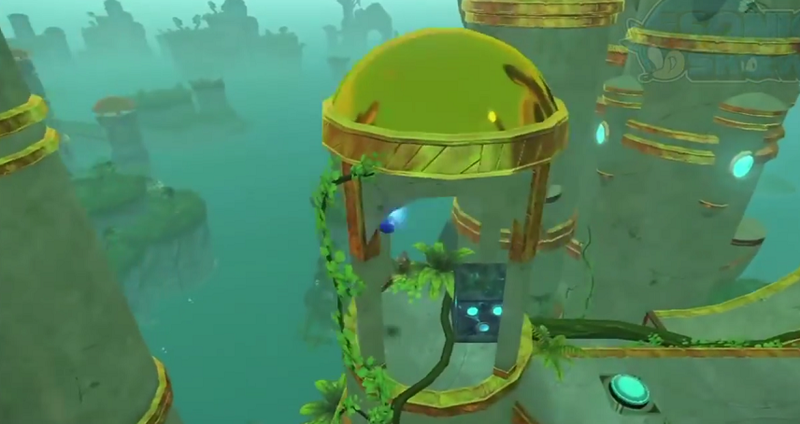 Sure, it doesn’t look as bad, but when they somehow manage to make the water worse looking than the Adventure games of the Dreamcast, there’s probably something wrong going on. He is perfectly allowed to criticize whatever sega decides to put out. There is no reason for him to wait. He cannot judge an uncompleted build. the game looks so beautiful ….. I WANT IT. Maybe they did it cause they’re trying to make a point that graphics shouldnt be that big of a deal to people. Kidding me? these graphics looks amazing! I like this world Sonic is in and its environment. It’s becoming more interesting. As someone who works in games my diagnosis is that that the B-Boll footage is for the ‘core’ build (if not the most stable build at the time of filming, so it could be anywhere to a month old depending on what is happening under the hood, since its common for games to go from playable to unplayable daily) while the E3 build is an ‘E3 Demo’ build, from my experience when working on games when a big public event is coming up you break some of the team off to create a Demo for the show while the rest of the team works on the ‘real’ game (its not a great setup as it takes member off the ‘real’ game those ‘Level Select’ screens and ‘Thanks For Playing’ screens don’t code themselves). Hence why there is a difference, the Demo team is given (in my experiences) little time to touch up and polish some parts of the game, while the core team works away implementing the rest of the ‘real’ game. Also it is common to optimize a game very close to the Gold date so you can test everything, this includes adding lighting effects and other touches like improving the frame rate. On the last project I worked on we added our full dynamic lighting in a week before going Gold and we got the frame rate on the device a day before we went Gold and it was perfect. Now if only they could change the character designs back to their modern designs, or at least give us a Sonic Boom mod, since Sonic Generations mods are so popular.